Clearwater Lake Tours. Boat tours and rental services in Wells Gray Park. Due to Unforeseen Circumstances we have Suspended most Winter Activities for the 2018-2019 Winter Season. 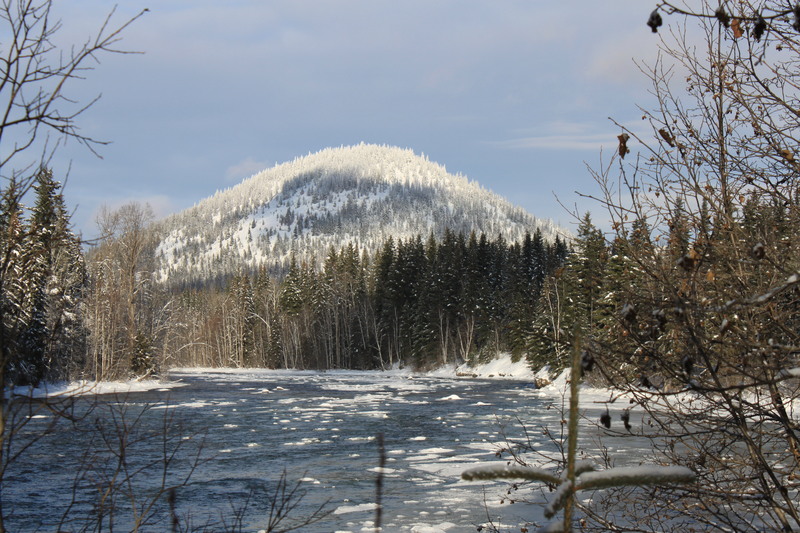 Come experience the tranquil beauty of Wells Gray Park in the winter. 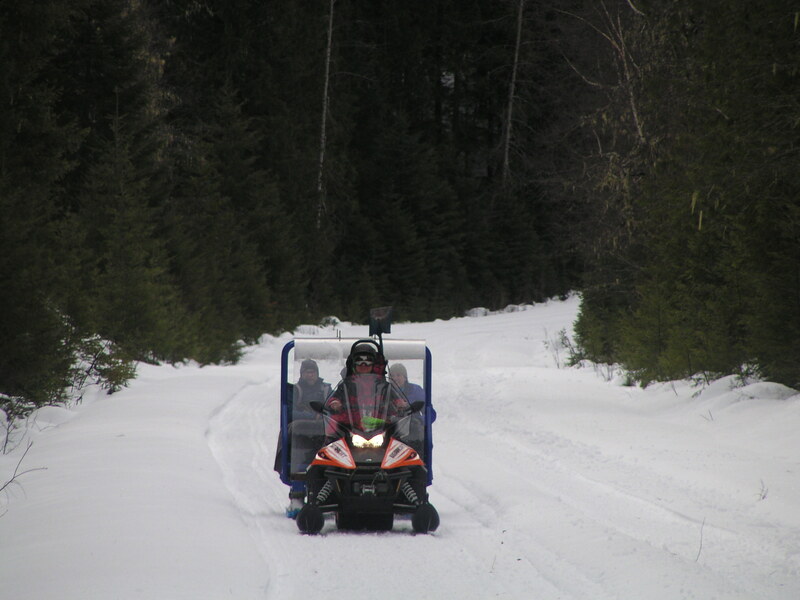 The summer access road to Clearwater Lake will be groomed and track set. This is a 22KM ski one way, or you can take our snow taxi and you can get dropped off anywhere along the corridor. 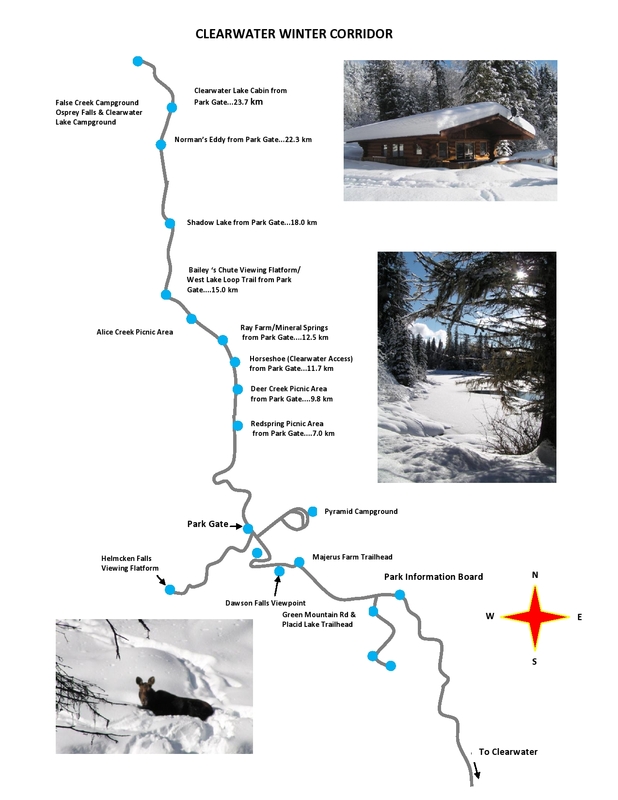 We will also be offering day guided snow shoeing as well as guided and unguided overnights to our cabin at the south end of Clearwater Lake. The cabin overlooks Osprey Falls; inside you will find that the summer time Office-Cafe has been transformed into a comfortable winter retreat. 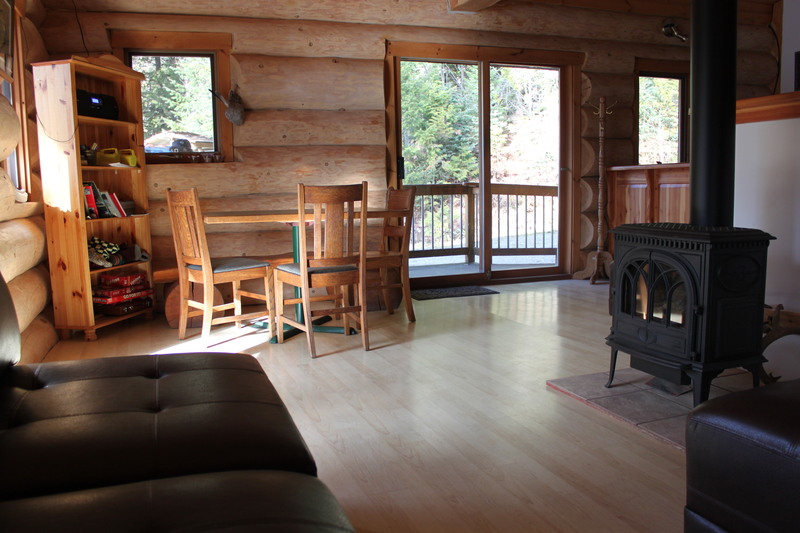 the cabin has a gas fireplace, couch, dining table and chairs. Sit back and enjoy the Sirius satellite radio or the quiet of the wilderness. Wifi is also included as well as a skype phone and computer. The cabin has solar power with backup generator. The kitchen is equipped with a propane stove and fridge. The building also has a triple sink and all cooking utensils are included. There is no running water so if you use more than the 10 gallons provided you will have to haul more from the lake. 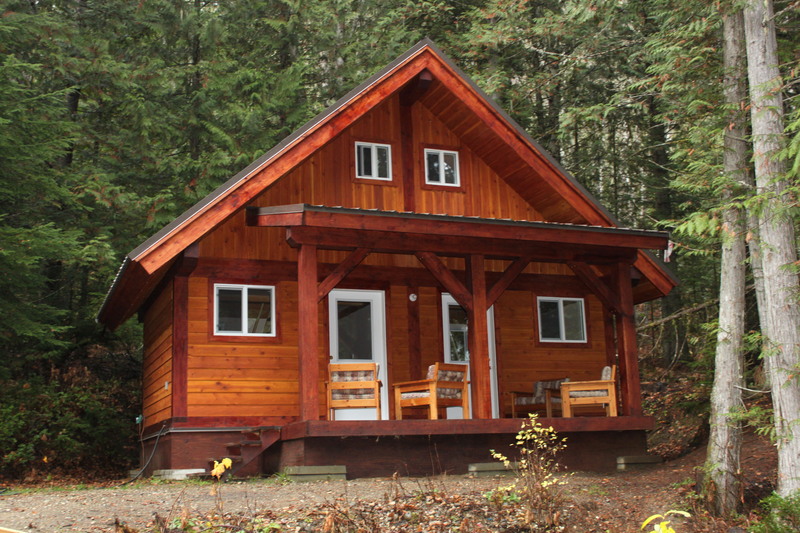 The sleeping accommodations are as follows: new cabins with private rooms (4 in total) heated by propane. We also have sleeping bags with liners. If you do not see something listed, give us a call and ask. We do have VHF radio for emergency communications monitored by Helmcken Falls Lodge and Clearwater Lake Tours. Come and enjoy the wilderness of Wells Gray Park. Give us a call if you have any questions, or shoot us an email! Ray Farm - $65.00 per person. Prices are based on a one way basis unless guided. Minimum 4 people. Tax to be added of 5% for guided trips. Snowshoes, snow taxi and lunch are included. Taxes to be added to all prices 5% for guided trips and 12% for all rentals. $250.00 per night for up to 4 people. If more than 4 people, an extra $30.00 per person will be charged. Sleeping bags with liners are included in this price. 10am Departure Time. $250.00 Per Person Per Day. Accommodation, food, snow Taxi and snowshoes are provided. Minimum 3 people. Taxes to be added to all prices 5% for guided trips and 12% for all rentals. 10am Departure. $20.00 per person per hour or $95.00 per person per day. Snowshoes included, lunch included if going for the full day. $20.00 per calendar day plus 12% tax. A 1.5 hour sleigh tour from the turn off to Helmcken to Red Spring 11am and 1 pm are the departure times and the cost is $35.00 per person for 3 or more. If it is only 2 people the cost is $50.00 per person. Check out the winter corridor map. Clearwater Lake Tours has installed a solar system and micro hydro system to supply our electricity needs. We are aware of our carbon imprint. Since we purchased the business in 2001 we have strived to shop locally and change our boat tours to cut fuel consumption. Clearwater Lake Tours has added a Duffy electric 22ft. boat to do shorter tours.